MG & G line – Double Pinch Hydraulic 3 Roll Plate Bending Machine | C Marshall Fabrication Machinery, Inc.
Frames made out of welded steel and worked on CNC milling-boring machines. The “G-MG” has all rolls powered with hydraulic motor and planetary gear box. All rolls made out of forget steel. All movements are hydraulic. MG owns a new geometry bending system characterized by radial movements of the bending rolls and movements totally assembled on high load dynamic bearings that grand minimum friction and a smooth rolling even when the machine works at its capacity limit. The bearings supporting the rolls are mounted in watertight compartments with grease, protected from the external dust and pollution and having permanent lubrication. The hydraulic motors of the rolls are coupled to their epicycloidal gear boxes. The gear boxes are mounted directly on the rolls without secondary transmissions; this way there is no loss of power and no need of parts maintenance. Massive torsion bars grant the absolute rolls parallelism. These torsion bars, together with all the hydraulic device, generate a system that gives absolute precision and versatility. 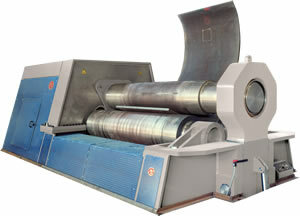 The MG-AR Three Roll Double Pinch plate roll is the most advanced three-roll double pinch roll on the market today! 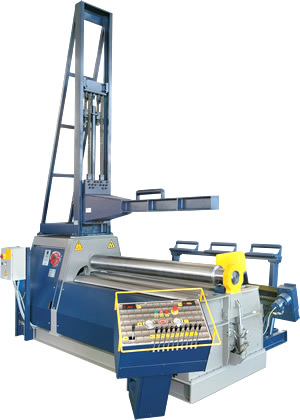 Whether you are a job shop or manufacturer, the MG Three Roll Double Pinch is the best solution. The MG Three Roll Double Pinch plate roll is the most advanced three-roll double pinch roll on the market today! 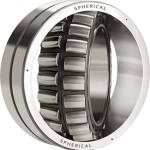 Spherical roller bearings are extremely energy efficient. Eliminates bushings and the necessary running tolerance they require. A negligible loss of energy due to friction whereas bronze bushings take 25-30% of available energy to overcome inherent friction. Torsion bar parallelism: unlike electronic systems or proportional valve systems, which maintain a theoretical balance, the MG Roll maintains a mechanical finite parallelism through our exclusive torsion bar system which allows the machine to be adjusted to its full conical tilt and back to parallel in only 5 seconds for the life of the machine. By using exclusive planetary guides, available on MG Rolls, we are able to keep more area of the plate under bend pressure during the rolling operation, thereby allowing the MG Rolls to roll down to 1.3 times the upper roll diameter. 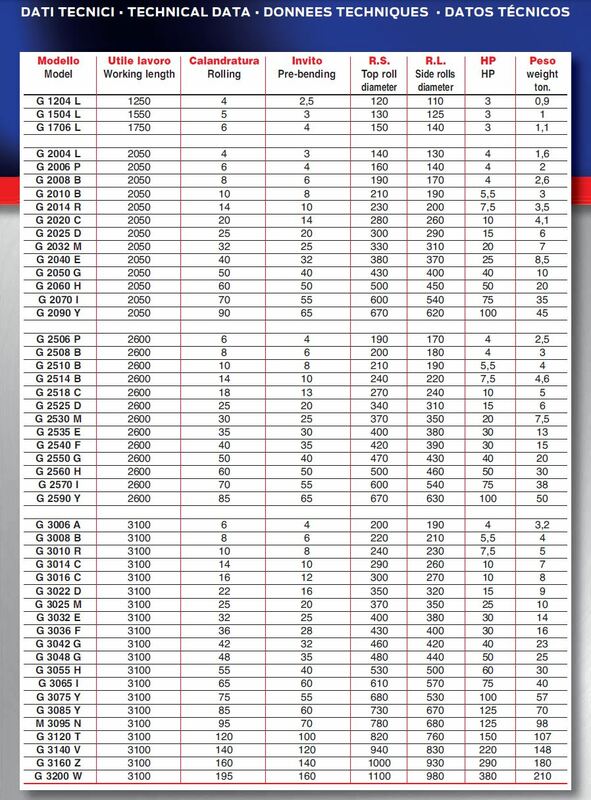 This allows MG Rolls to have a 16% advantage on tight diameters over our competition. All three rolls are independently driven by planetary gear drives. This eliminates complicated transmission systems which are not energy efficient. Delivers in excess of 98% of all created energy to the roll surface. 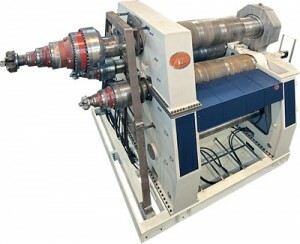 Also eliminates the need for clutches and complicated synchronization devices. when you look into serious rolling.